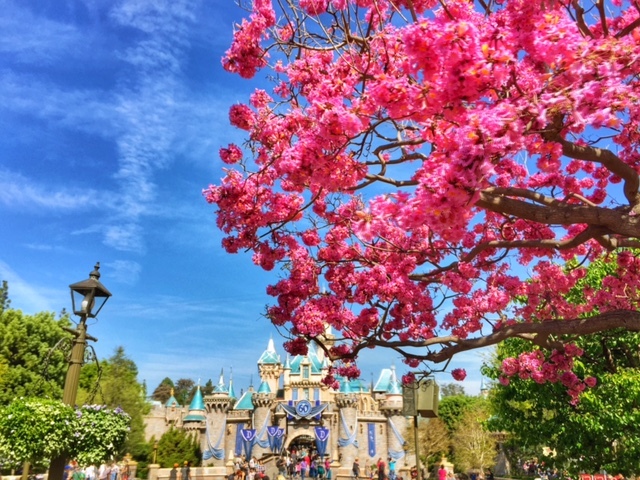 Springtime at Disneyland is something very special. You can’t help but stop and enjoy all of the flowers and greenery around every corner. On our recent trip I couldn’t resist snapping pics of the touches of Spring throughout the park, as well as Disney California Adventure. 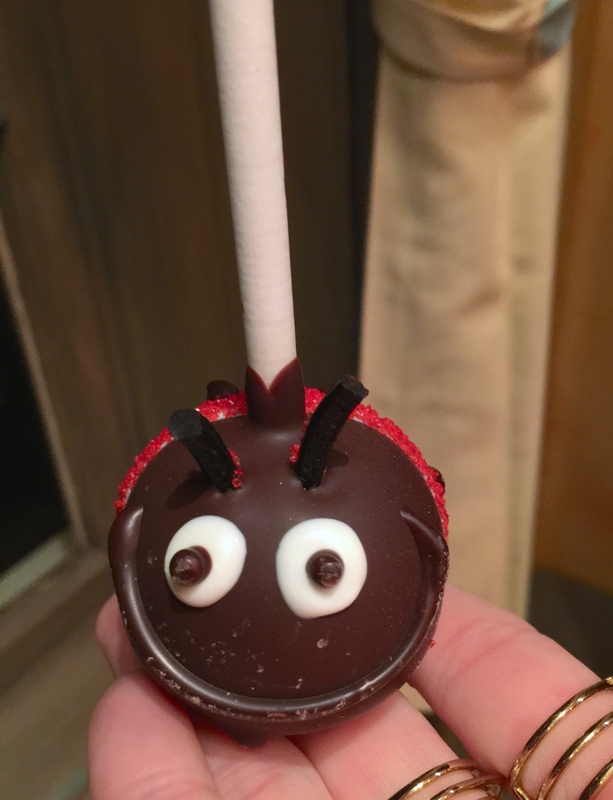 I’m still mourning the loss of the Peanut Butter sandwich from Pooh Corner, but one new thing I am enjoying in its place is each month Candy Palace, Pooh Corner, and Trolley Treats have a special marshmallow wand. 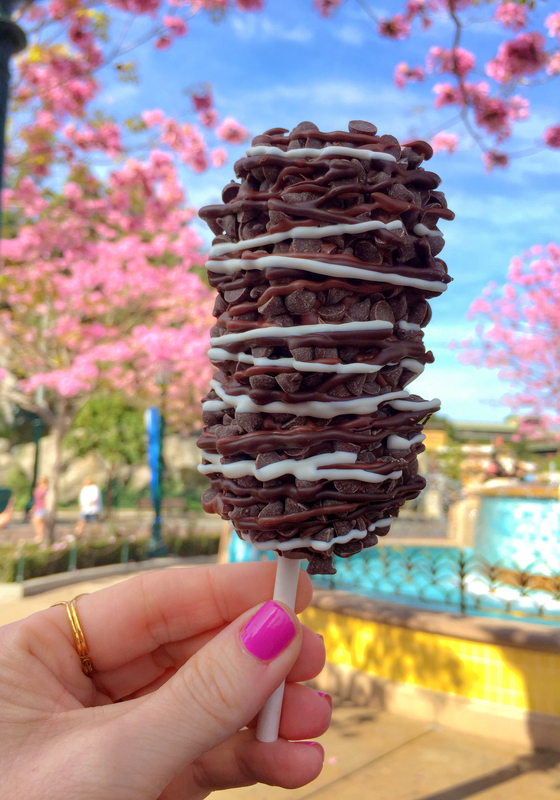 In March the marshmallow wand was Triple Chocolate, it was dipped in caramel, chocolate, covered in mini chocolate chips then drizzled with milk, dark and white chocolate. I could barely sneak more then a couple bites from my teenager, so needless to say, we loved it! Seriously Disneyland, the pink flowers?! This particular visit seemed to be pink themed. Jolly Holiday Bakery Cafe at Disneyland is another good spot for treats. 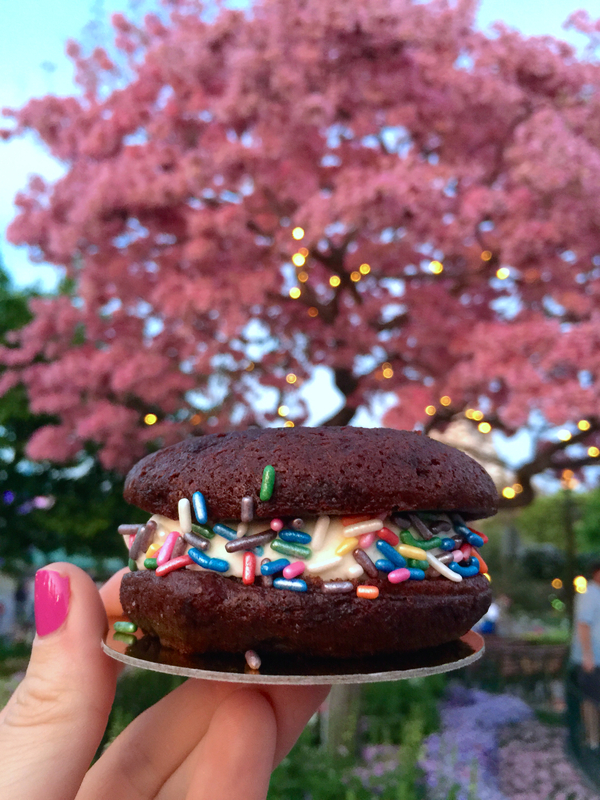 They feature different seasonal whoopie pies, macarons, cheesecakes, cupcakes, creme brûlée, eclairs, cookies, and bundt cakes. In addition to the seasonal treat they offer their infamous Matterhorn macaroon dipped in white chocolate, cinnamon rolls, brownies and many other yummy desserts. 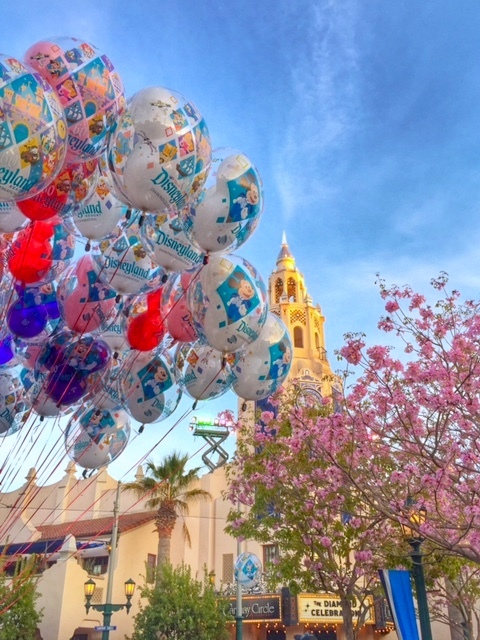 I’ll be back in the park this week and look forwarding to revisiting Spring at Disneyland.